As a cost-effective proposal for Mun exploration, Jeb’s Junkyard & Spaceship Parts Co. designed an upper stage for use as an EV-1B automated transfer stage. 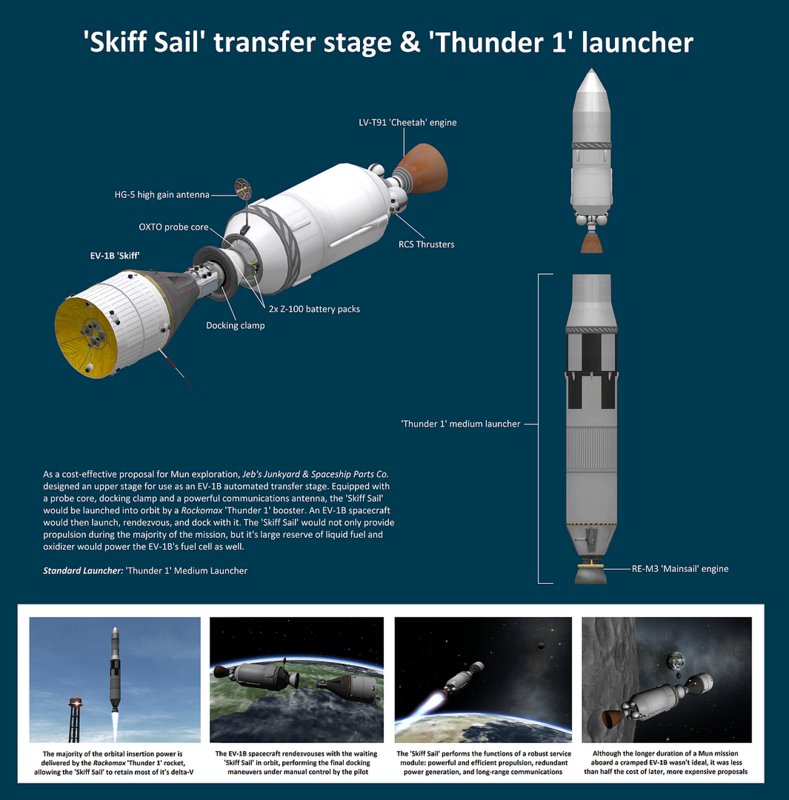 Equipped with a probe core, docking clamp and a powerful communications antenna, the ‘Skiff Sail’ would be launched into orbit by a Rockomax ‘Thunder 1’ booster. An EV-1B spacecraft would then launch, rendezvous, and dock with it. The ‘Skiff Sail’ would not only provide propulsion during the majority of the mission, but it’s large reserve of liquid fuel and oxidizer would power the EV-1B’s fuel cell as well.